WHY DON'T BLOGGERS TALK ABOUT THINGS THAT MATTER? Whilst the blogging community is filled with amazing people who fill our feeds with creativity and fun, there's something missing. Blogging about lipsticks and shoes is really fun, and not frivolous at all. In fact I've argued pretty much my entire life that fashion should be taken more seriously, but there are other things that really matter. And all too often, influencers overlook these issues, happening right now, to talk about the new highlighter they just bought instead. 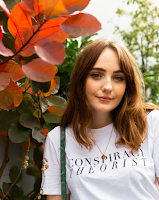 If we (I know I only have a small audience, I'm grouping all bloggers and vloggers of all sizes here) have the power to persuade our followers to buy a new bag or visit a new bar, then why the hell can't we try to use that influence for good? After discussing this issue with non-bloggers and bloggers alike, one sad excuse has cropped up more than once. Some simply don't want to talk about it because they don't want to lose followers. They're afraid that if they side with one party, in or out or god forbid declare they're a feminist, they might alienate their audience and make less money as a result. But seriously, if someone votes for the deportation of immigrants or retweets Piers Morgan, do you really want these people following you? And if one of these idiots is aggressive towards you? Remember, the block button is there for a reason. I'd rather have a tiny following that is made of genuine, good people than millions of misogynists, racists and homophobes. During the US election, I noticed a conversation between two well known bloggers on my timeline. One tweeted something along the lines of what I'm trying to say in this post, whilst the other replied saying she didn't feel comfortable tweeting about current affairs she didn't know a lot about. Fair enough, but you know what you should do, regardless of if you even participate in social media or not, educate yourself. Read some articles, maybe even go old school and watch the news. Everybody should be aware of what is happening in the world, whether they believe it directly affects them or not. But if you have a large audience, you should not only be reading about those events, but talking about them. I get angry when I see Youtubers and the like with millions of followers, many of whom may be too young to vote, but are impressionable and cling on to every word these stars say, who stay silent. Fair enough if you don't want to share who you vote for, whatever, but at least encourage people to go out and vote! Tell young people why it's so important. Tell young girls how hard those before us had to fight so that we have the right to do so. No one is saying write a 5,000 word opinion piece on the matter, just have your say! 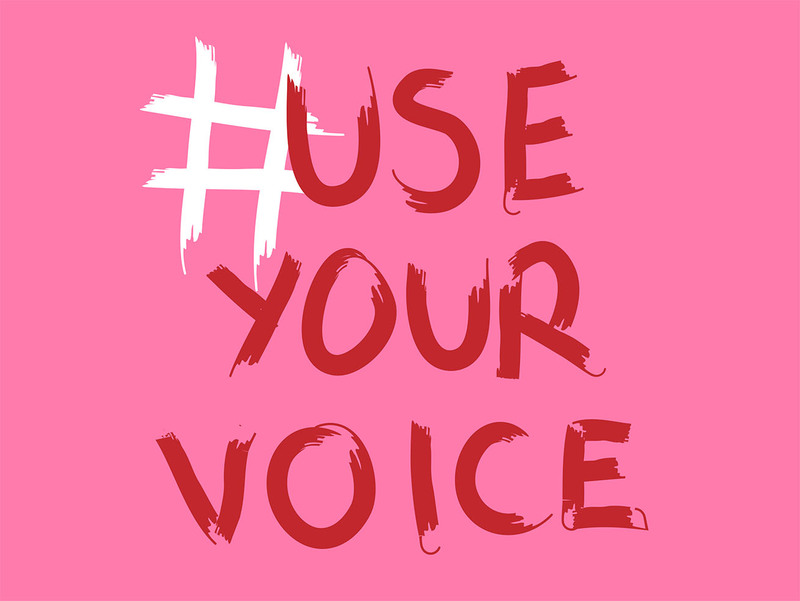 Whether that be a drawing, a protest sign, a tweet or something as small as retweeting a cause you believe in. In 2015, the Tories were sadly re-elected. In 2016, the UK stupidly decided to leave the EU and the US elected Donald Trump. Over the past few years we've seen civilians killed by bombing in Syria, police brutality towards minorities, and a whole lot more. But how many bloggers used their voice to discuss these issues? Not as many as you might hope. You don't have to write a post every time something bad happens, but share petitions, retweet worthy causes and articles. Sure, you might not change the world with one tweet, but you can damn well try. Tolly wrote a great post last year summing up what I'm trying to say here, recommending some more things you can do to help make a change. There's some more to add too, like getting involved with your local activist groups. 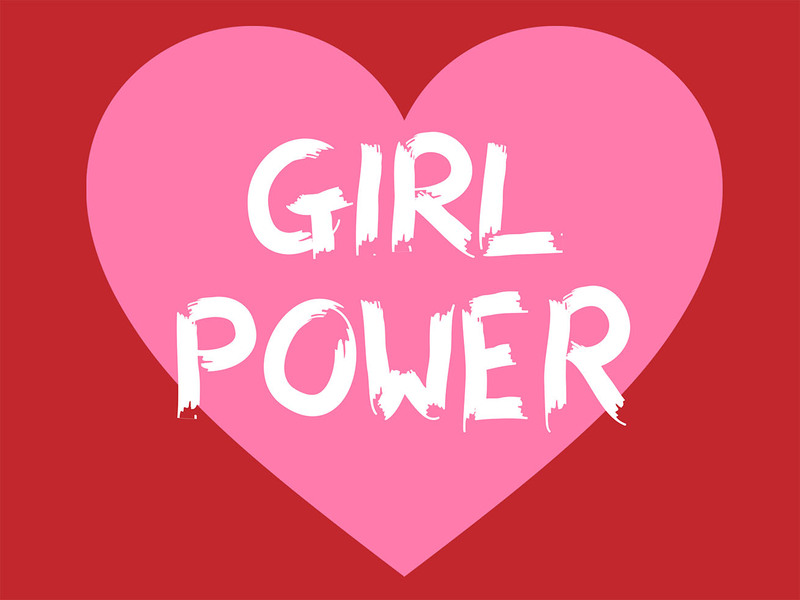 I follow Grrrl Power Liverpool to keep updated on the latest events happening in my city, such as support groups, rallies and feminist art shows. Or next time you see someone collecting signatures on the street, speak to them, see how you can help, take a flyer or wear a badge. So, whilst we should all continue to talk about the things that give us joy, like recipes, makeup and clothes, let's remember to also talk about the stuff we need to change. Let's try to better ourselves, doing what we can to support our fellow humans, of all races, religions, genders, abilities, sexualities, shapes and sizes (and animals, of course). Quick disclaimer: By no means am I claiming to be perfect. I could do a hell of a lot more to support good causes and protest the atrocities going on in the world. But I'm trying, and I'm determined to do better. Let's try together.